James’ letter can be found in the New Testament part of the Bible. People don’t really know which James wrote this letter. 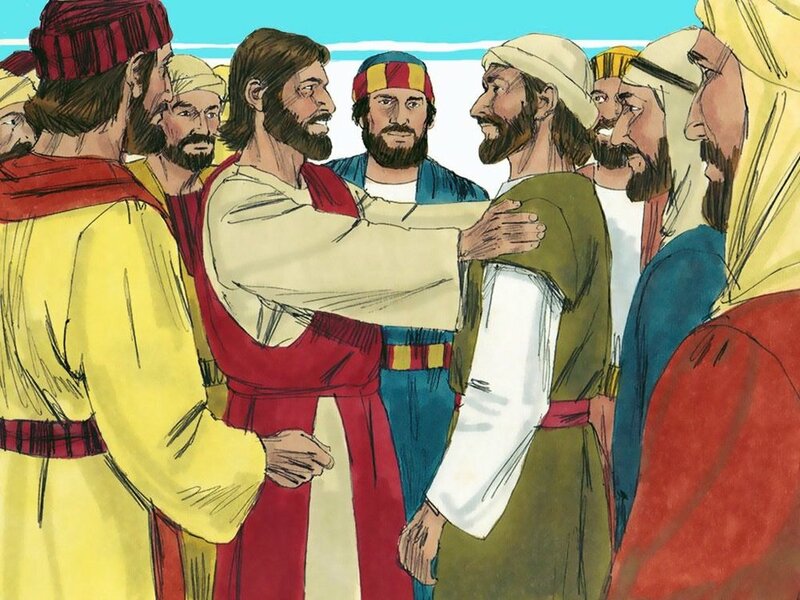 Some people think it might have been Jesus’ brother, others think it was one of Jesus’ disciples. Show and talk about ‘The Early Church FlashCards’ cards one to ten. Do you ever wear a uniform… perhaps for school, guides or scouts? Uniforms help us to recognise what somebody does or what organisation they belong to. But how do we know if someone is a Christian? Often we don’t. A Christian is somebody who has said ‘Yes’ to God’s love and forgiveness, so we might not be able to tell just by looking if somebody is a Christian or not. However Christians believe that with the help of the Holy Spirit they are learning and growing to be more like Jesus. A man called James once wrote a letter. He said that if someone says they are a Christian, people should be able to see them living in a Christian way; people should see them living more and more like Jesus, being more peaceful, patient and kind. You will need: ‘James’ or ‘junk’ signs (see Printables), sticky tac and ‘James or junk statements’ (see Printables). 1. Place the ‘James’ sign at one end of your room and the ‘junk’ sign at the other. 2. Call out the statements in a random order. 3. Each child should decide if they think the statement is from James' letter or is made up (i.e. junk). They should then run and stand next to the appropriate sign. 4. Reveal the answer and discover who was correct before moving onto the next statement. Father God, we thank you that your Holy Spirit helps us to learn and grow to be more like Jesus. Thank you that your Spirit guides us and teaches us to live the way you created us to live. Father we think about the way you created us – to love you and love others. Father we thank you that James wrote a letter to the first Christians explaining how we can show our love. Father we ask that you help us to say good and kind things, to give food and drink to the hungry, to treat both rich and poor people the same way and to pray for those who are unwell. Father God help us to pass on to others the love and forgiveness you have shown us. Amen.